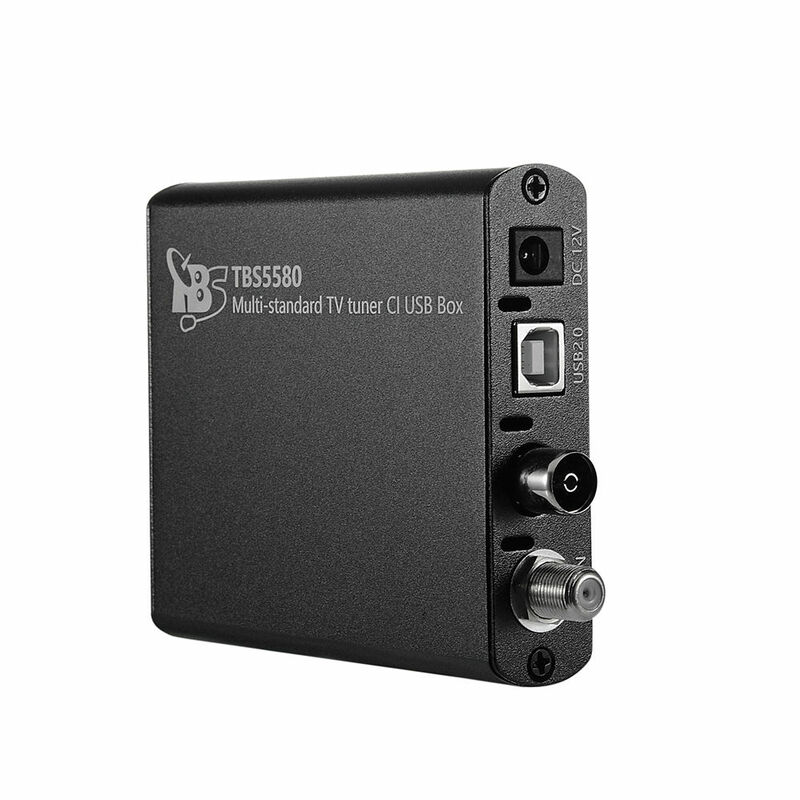 The TBS-5580 is a multi-tuner USB receiving box with CI (NO CI+) for encrypted television (pay-TV) by means of the CA module (CA module not included), suitable for the reception of digital television to all HD resolutions. 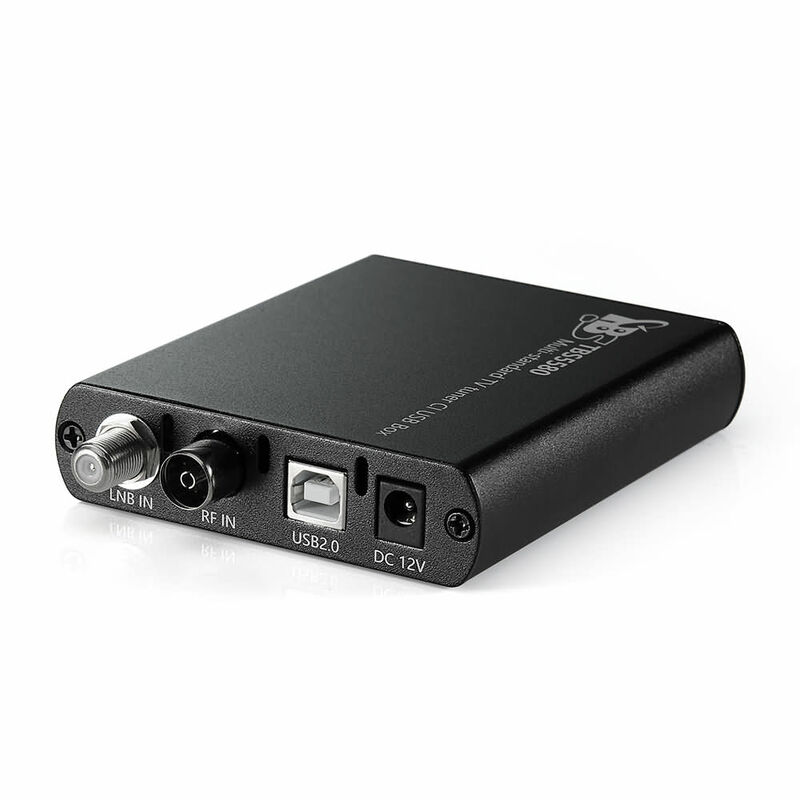 It combines three types of reception in one device, whether satellite (DVB-S, DVB-S2X and DVB-S2), cable (DVB-C and DVB-C2) and terrestrial (DVB-T and DVB-T2), J83/B or ISDB-T reception. 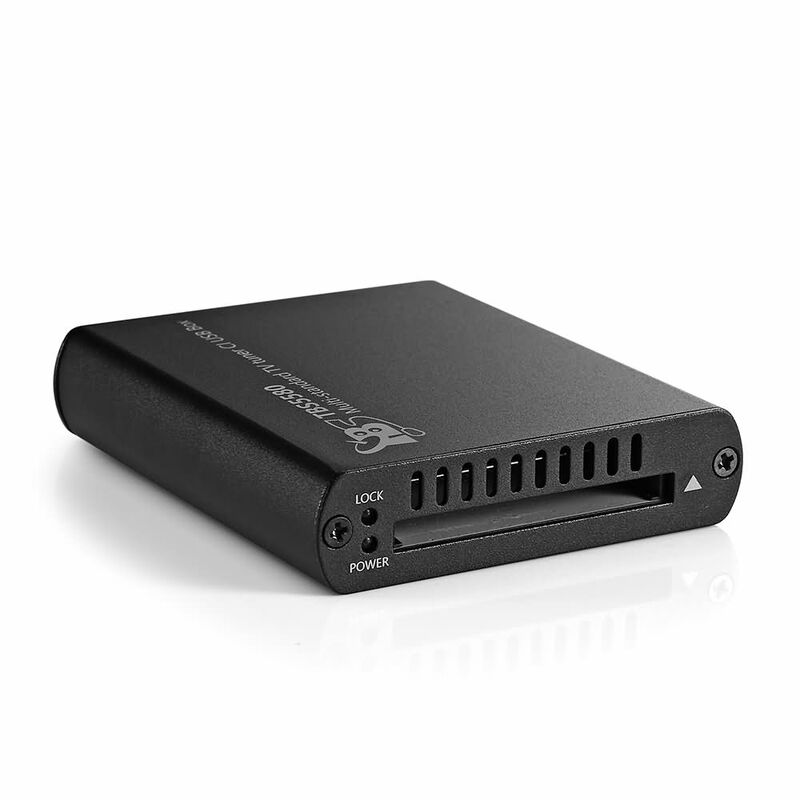 It is an external receiver box and is suitable as a supplement device to your laptop, PC or small media center PC. It is ideal to watch or record in best quality. Drivers for all 32- and 64-bit operating systems are included: Win XP, Vista, Win 7/8/10 and Linux. The Box is supported by various programs like DVB-Viewer, the supplied TBS-Viewer, or ProgDVB, DreamDVB, etc. 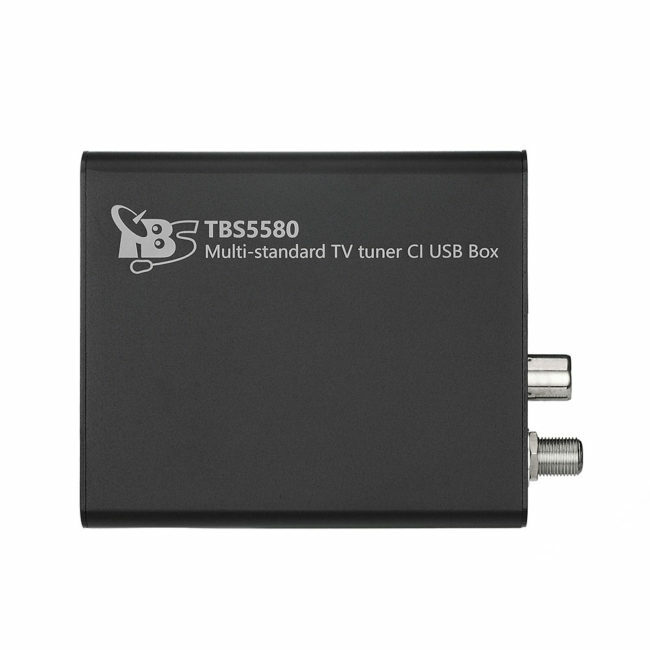 This USB-Tuner TV Box is suitable for the reception of digital TV in all HD receptions. You can record or watch one channel. You can easily record live TV immediately or time-controlled on your data carrier by only one click. This box is ideal for Media Center and PC systems and fits everywhere. In addition to the excellent facilities and the modern Interface, is also provided with low power consumption and thus a low waste heat, for silent operation.